A few things have inspired me to put this post together. Firstly, lots of you are searching for topics like ‘how can I be more adventurous?’. Ah, the eternal question! Secondly, I had a lovely Facebook message from a reader, thus: “Hey! Inspired by your blog and want to do the same thing as you. I don’t know anyone who is like me and I’ve been too nervous to get out and travel alone. What would you suggest I do?”. I feel ya, sister. So I asked lots of adventurous women for you and thought up some of my own advice on how to travel alone as a lady. Here we go! There are tons of ways to find adventure and people to enjoy it with on your doorstep. Search out local groups for the sports you’re into or that you’d love to try. This is admittedly much easier if you live in a city – I’m a member of the Bristol Surf Club, for example, which organises social events and weekend trips. 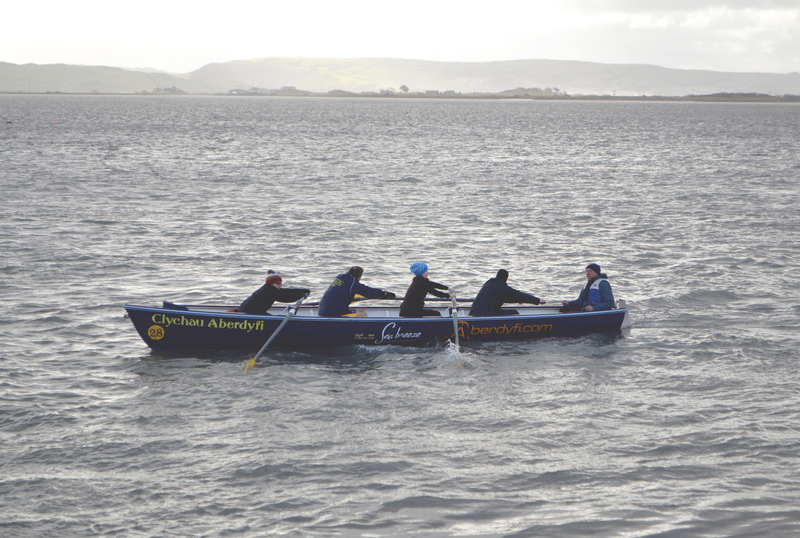 If you’re based in a rural area, see what local towns can offer by checking online and in the paper – my amazing mate Jill moved to deepest Snowdonia and set out to make new friends by joining the closest rowing club, above. Queue instant social life in a new place. Sports clubs usually have regular socials and pub nights on, which is a great way to see if you like the vibe. Turning up alone the first time can be pretty daunting, but force yourself to talk to a few people there and I’ll bet you’ll have a whole new outdoorsy gang by the end of the evening. 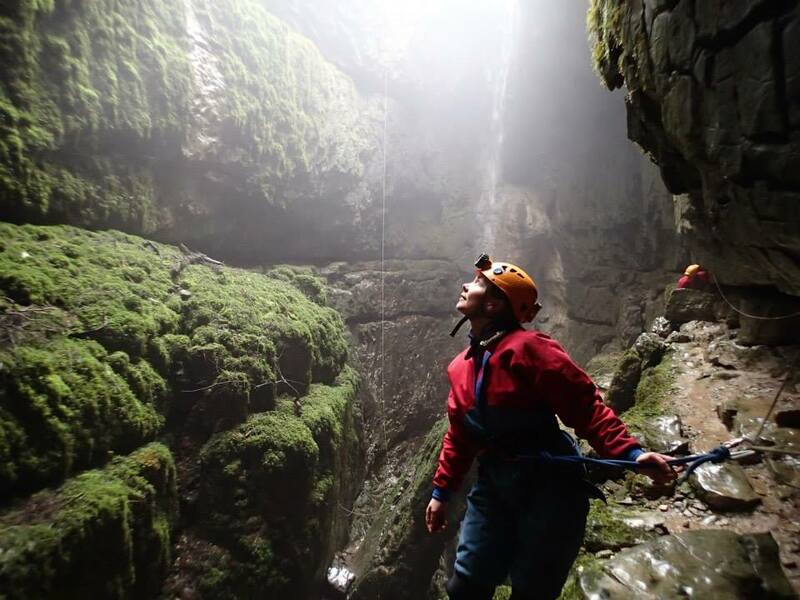 A fantastic tool for travellers and adventurers, Explorers Connect is a community site where you can see fellow member’s planned adventures and join expeditions, find team mates for trips in the UK and abroad and even find a new adventurous job. Click on ‘Join a team’ and then search by your location to see who is near you. Gumtree’s community page is definitely worth a look. Why not post an advert and see if there are fellow outdoorsy men and women in your area looking for buddies? Sports clubs often post here too, advertising for new members – a quick search in Bristol turns up women’s football and hockey clubs looking for new members and a mixed running group. 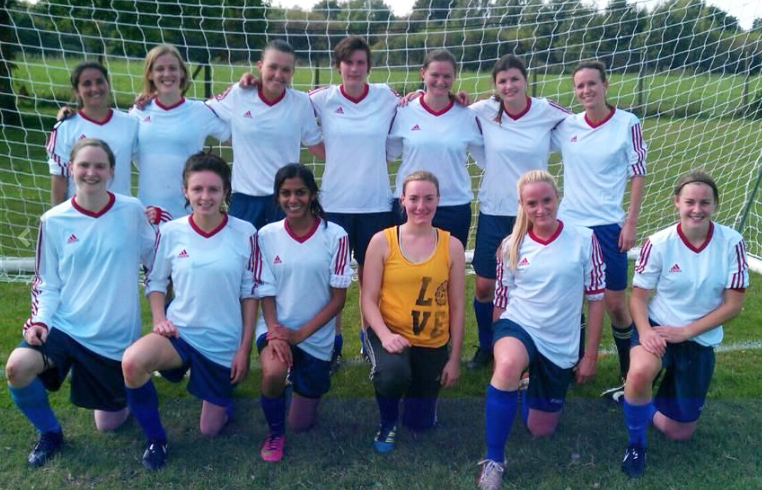 Look at this lovely female footie team in Clapham looking for girls to join (above) – that’s 13 instant new mates. Lizzi also recommends trying Meetup. I’d recommend only posting an email address in an online advert, though, and be savvy about meeting up in person with strangers. The Good Gym is an amazing initiative running across Britain, with established groups in London and Bristol and new groups country wide. 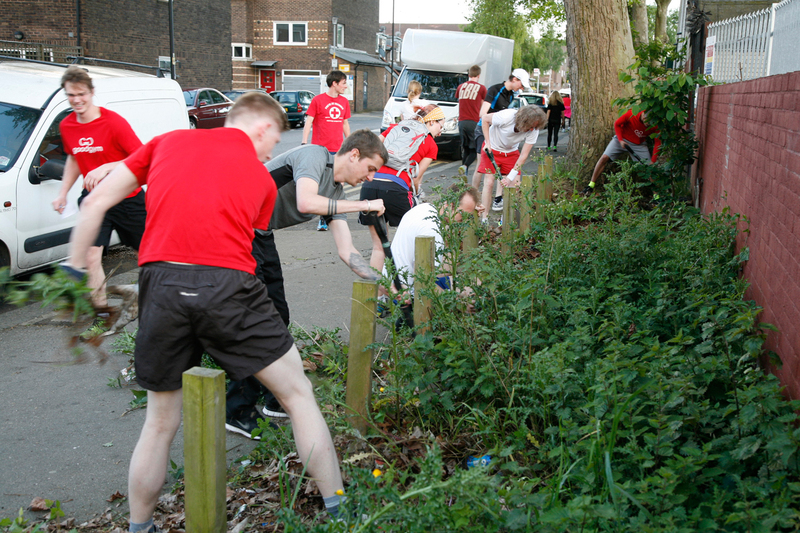 They organise activities that help you get fit and do good at the same time. What’s not to like? You could be running to a community farm and doing some digging, sorting donations at a food bank or helping older people in your community. Just researching this has inspired me to sign up to my local group. When I lived in Cardiff I was desperate to surf, but had no friends interested in submerging themselves into the freezing Welsh sea in the winter! I found a Facebook group called ‘Cardiff Surf Meetups’ and posted asking if any other beginner ladies fancied joining me on weekends. 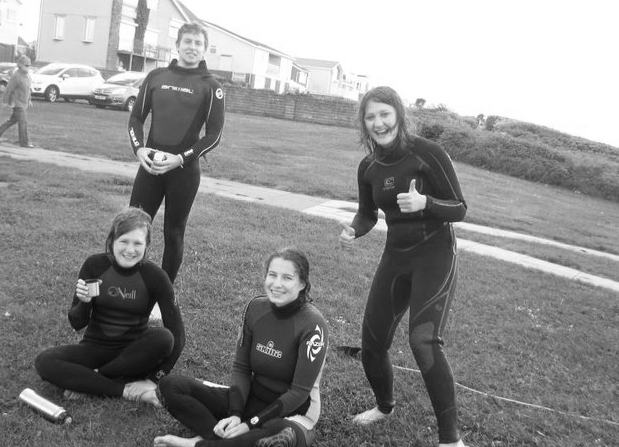 Enter Vero (bottom left), a fearless and fun German student who became my surf buddy. We’d head off to Porthcawl every few weeks to mess about on boards. Vero turned out to be an experienced climber too, and took me on my first ever bouldering session. Result! Travelling alone is scary. But it’s also immensely rewarding and fun, I promise. Here are tons of ways to go abroad solo, plus lots of smart advice from fellow female travellers. Whenever friends ask me about heading abroad for an extended period I immediately start waxing lyrical about the International Service. A UK government-run international development organisation, IS sends young people abroad to work in disadvantaged countries for three months at a time. 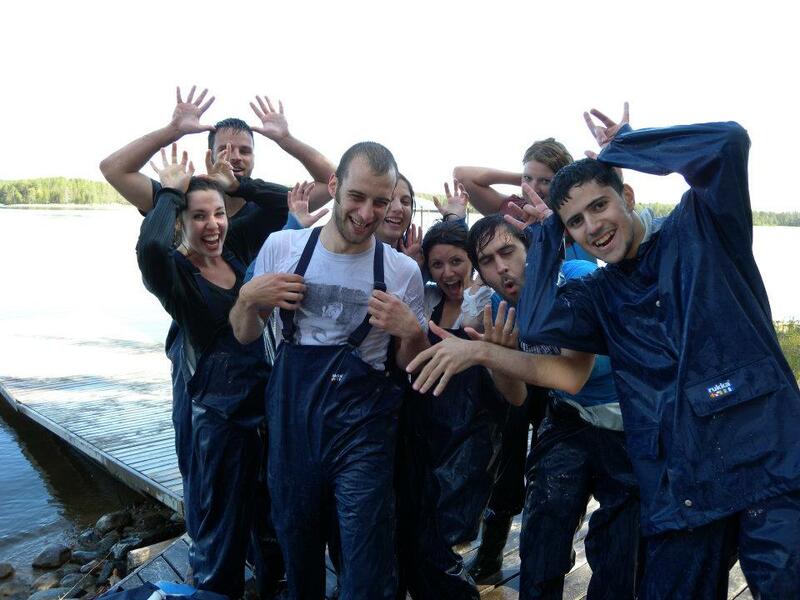 You gain incredible experience, make a real difference to a community and find lifelong friends in a new country. Plus, everything is paid for (although you’re expected to fundraise £800 for your cause). I spent three months working in an orphanage in La Paz, Bolivia – one of the best things I’ve ever done (above). Spending a few months based in one place really helps you integrate with local people and culture, too – whilst volunteering we were invited to take part in a local festival on the Island of the Sun, stayed with a tribe on the Amazon and even went to a wedding. There are, of course, a zillion volunteering options out there, but I’d advise staying well away from any you have to pay for – search out free schemes instead. WWOOFING (working on organic farms across the world) is great for solo travel – you get bed and board in exchange for farm work in a beautiful rural location, and there are usually lots of other Wwoofers to make friends with. If you have a specific skill, search for organisations in need of it – knowing a bit about horses means I found a ranch in Kenya to volunteer at this autumn. Still at university? 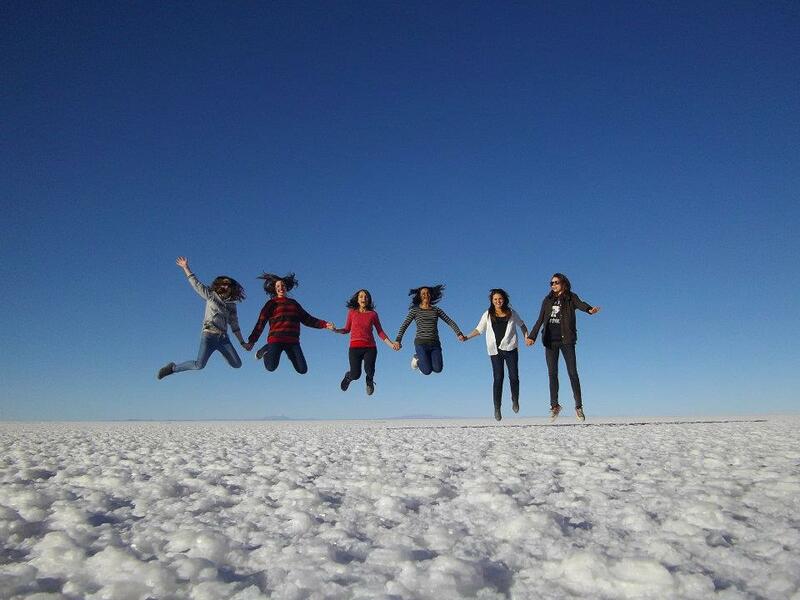 There are amazing opportunities to travel solo whilst you’re studying. If you’d like to try an academic year abroad you could apply for an Erasmus grant and study at another university in Europe for a semester or a year. I studied Italian in Rome and had an immense time eating gelato and drinking Moretti beer with other students from all over the world (plus occasionally going to lectures). Alternatively try searching for scholarships in your chosen field. I researched summer schemes when studying journalism and got a place on a foreign correspondence scholarship course in Finland. I spent a month meeting reindeer, skinny dipping in lakes and hiking in forests with budding journalists from all corners of the globe (above) and we’re still friends today. Travel lover Cat recommends: “book a learning holiday – that way you’re all on the same level. 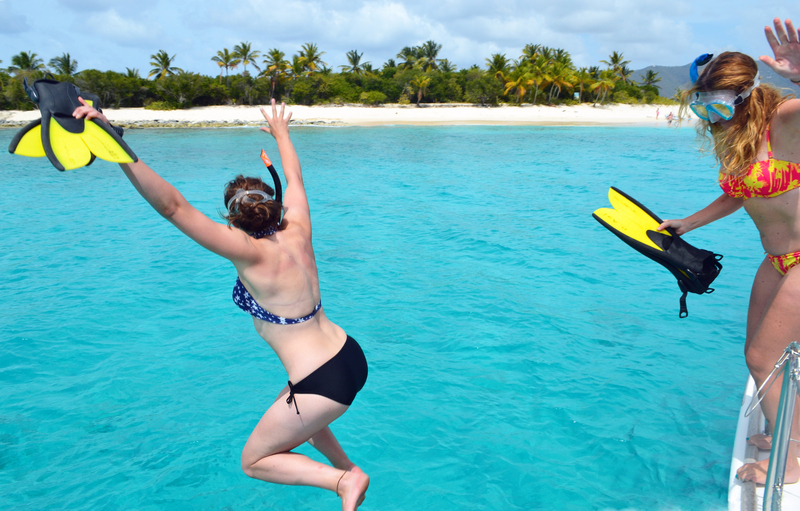 I booked a learn to surf holiday and made lots of friends.” There are plenty of female-only trips about if you’d like a just-girls environment – the wonderful ladies at Girls For Sail offer sailing trips everywhere from Cowes in the UK to the Caribbean, or meet surf-loving Chicks on Waves in the gorgeous Portuguese Algarve. 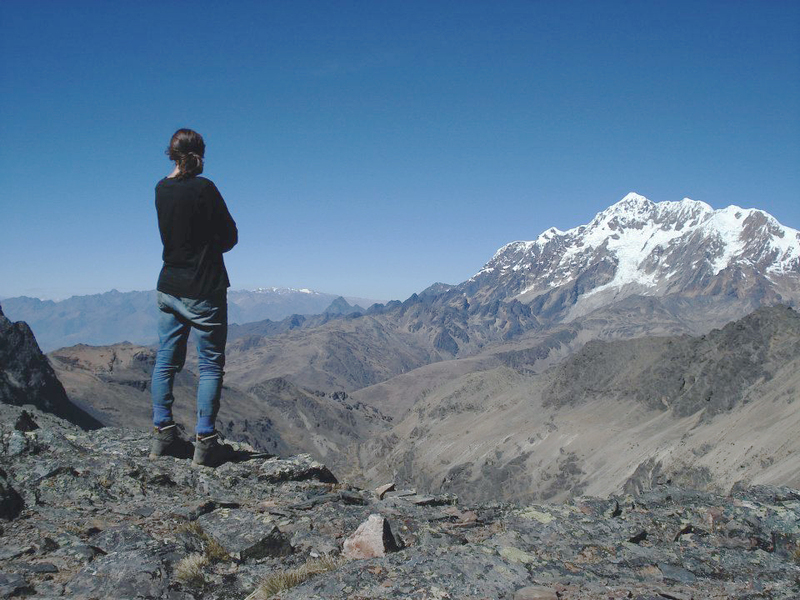 Solo Holidays organise walking and trekking trips around the world, and Cold Fusion specialise in solo skiing trips. A no-hassle way to explore and makes friends. I explored Israel (above) on a cycle tour, which was the perfect way to gallivant about on two wheels with other bike-mad travellers. My friend Elsie is currently mid-way through a group tour of Europe, and has already made friends for life with her travel gang as they hop on and off trains around the continent, riding bikes around Paris and partying in Amsterdam. Use your skills in another country and get paid for it. Bypass gap year company cons and find a legitimate job by searching for skills-specific roles – you could teach with the British Council, use your medical training with the BMA or put your social skills to good use as a rep on a ski season. 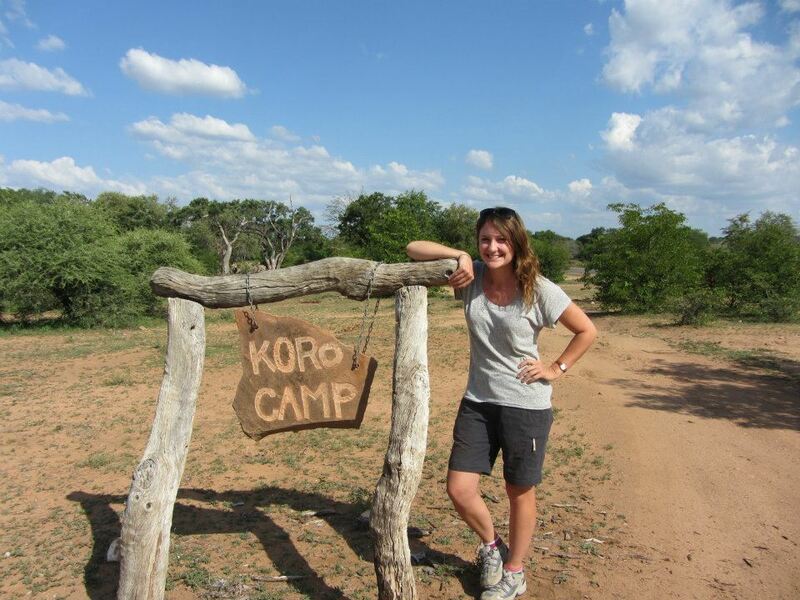 Florence is a biologist and used her wildlife knowhow to land herself a three-month job on safari in Botswana (above). 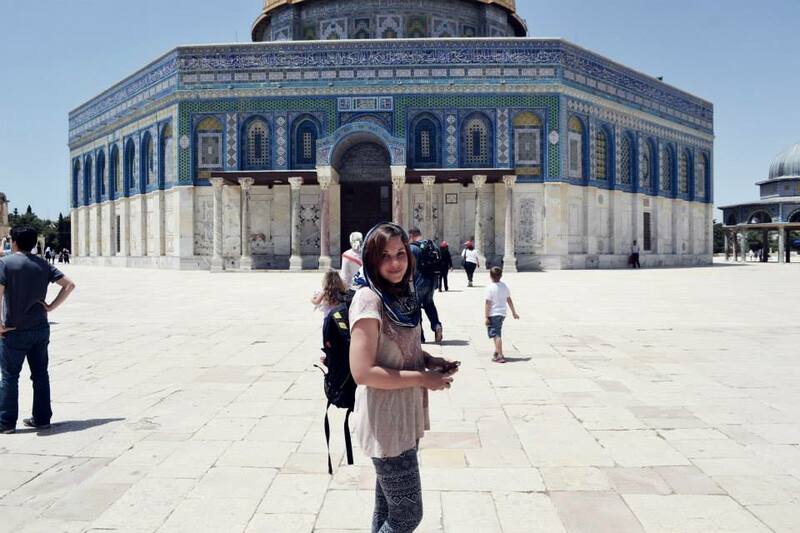 She says: “I remember the moment I got on the plane and thought – what have I let myself in for? I arrived a safari camp after a five hour drive from civilisation and there was no electricity or running water. I immediately had food poisoning for three days and really wanted to go home! But then as the weeks became months I absolutely loved where I was. Elephants wandering straight through the camp in the morning and we watched leopards at waterholes at night with infrared lights. We had to trek for 30mins to a baobab tree at the top of a hill to get any phone signal to call home, and it was really hard to describe to my family what remote African life was like. At home my mum checks which train I’m getting and what I want for dinner, but out in Botswana I was driving a safari truck through herds of elephants and sleeping in a tent with a spitting cobra under the bed! And so we arrive at the biggie – no-frills, no-mates travelling alone. Firstly, it’s totally okay to be nervous about heading to a new country on a ticket for one. You are BRAVE. Now do some research, so you’re aware of the realities of getting around in your destination – there are myriad guides to staying safe and happy as a solo female traveller online, and lots tailored to specific destinations, too. Guidebooks usually also list specific information and tips for lone ladies. When it comes to taking the plunge, what I always do is book flights as fast as possible before I chicken out, and worry about the fact that I’m heading off on my own later down the line, when it’s too late! I always book myself a decent-looking hostel for the first night, so I’ve got a safe base when I first arrive. If it’s your first trip alone, take baby steps – why not book yourself a weekend city break and see how it feels? If you’re not a fan then you’ll be back home in a jiffy, but I’m willing to bet you’ll have a blast. Some sage advice from travel-wise women on the highs and lows of solo travel. Mary cycled alone around Germany (AND played gigs in the evenings. Wonder woman): “I’d say that being in charge of your own agenda and adventure is an advantage to going to alone. You can go when you want, stop and rest when you want. It’s also easier to meet new people. I was very nervous before I left, and although I’d planned my route I gave myself plenty of time to get lost! I stayed in hostel dorms to save money but actually met lots of other travellers that way – we’d hang out in the evenings and bond over cycling and they’d soon feel like old friends.” Anni and Anna also both love staying in hostels as a way to meet people – Euston, we have a top tip. Adventurous Anna (check out her lovely blog, Alps Outdoors Life) solo-hiked the Tour du Mont Blanc. She advises having a clear objective in mind to get you through the trip. Probably the most stylish traveller I know, Lucy of The Sunday Times Travel Magazine, has these final wise words to impart: “Don’t think of travelling alone as: ‘Who will I talk to? Will I feel pathetic eating on my own?’ Instead think of it as 100% your time. Whether it’s three days in a fast-paced city or three weeks in a beachy paradise, you don’t have to work around anyone else. Want to get up at 6am and do sunrise paddleboarding on the Hudson? No whiny boyfriend to cajole out of bed. Want to hide under your duvet from a tropical storm, eat Massaman curry in your PJs and watch Thai reality TV? No ‘I should be out and about’ guilt. You can plan, not plan, or scrap plans and just see where the day takes you. Longer trips alone really make you think. You’ll confront issues previously put aside for wall-to-wall social plans and small talk. You will, inevitably, ponder whether you’re really happy with the direction you’re going in, whether you like your own company, how you come across to strangers. Expect a wall of boredom at some point, if it’s a long trip. Don’t get on Facebook and desperately share your view for likes and responses – embrace the isolation and recognise that travel isn’t just a series of indulgences and activities; it’s a change of scenery and a bit of space to breathe, think and get inspired. What’s your experience of travelling alone? Share your thoughts and advice and I’ll add them to this post. Now please excuse me, I’m off to eat Massaman in my pyjamas. I have been on short solo holidays and longer ‘learning holidays’ and I have learned that travelling solo doesn’t always go as expected. When I set off for my surfing holiday I thought I’d make lots of friends in the shared house I booked myself a room in. It turned out that I was the only person in the house during that week…! Did I cry? No. Was I disappointed? Initially, yes. But then I realised that I had a whole house to myself, 10 minutes from the beach, for a whole week! It was the most relaxing and free holiday I’ve ever had. I surfed in the morning, lounged on the beach and devoured ice cream in the afternoon and ate whatever I liked in the evening. I even took myself out for dinner twice. It was a completely different holiday from what I expected, but I did enjoy it – it was a much needed break from everything and everyone. On a shorter solo holiday on which I went to hike and think, I discovered once there that the hotel, which I booked for cheap last minute, had a mini spa! I found myself having the swimming pool, jacuzzi and sauna to myself in the early evenings. What a great way to end a cold winter day of hiking. My top advice for travelling on your own would be: try to keep positive, think of the opportunities hidden behind an obstacle, spend some time admiring nature’s beauty to feel at peace with yourself, try out new things and don’t focus on what you THINK people think of you. You’ll have a great time. Sometimes solo travels won’t go according to plan, and that’s ok because, regardless of how they go, they are a great opportunity to grow, adapt, survive, learn, get to know yourself better, think and relax. Above all, solo holidays give you a chance to learn to be on your own or ‘confirm’ you can still cope on your own away from home. And that is incredibly empowering. I don’t have too much advice to add to this already great article and already added comment but just felt I had to put my two pence in as I agree so strongly that solo travel is a great thing. It saddens me the misconceptions people have of it being dangerous or lonely as this is so not true. My first travel experience to Oz and NZ I set off with a friend but within a few short weeks had decided we had totally different ideas of fun so amicably parted ways, so on my next trip this time more off the beaten track I had the confidence to go it alone. Both times particularly Eastern Europe (cant recommend going there enough so many undiscovered gems!) I had an AMAZING time. Solo travel really gives you the opportunity to get to know yourself better, solve problems unaided, time to think, rest but also you meet so many more new people. I ended up meeting and spending so many days with friends I met along the way that I would purposefully pick my next hostel to be a quiet out of town one where I WOULDN’T meet any new people! There were always tons of other solo female travelers too so it’s really not an unusual thing to do. So be brave do it! 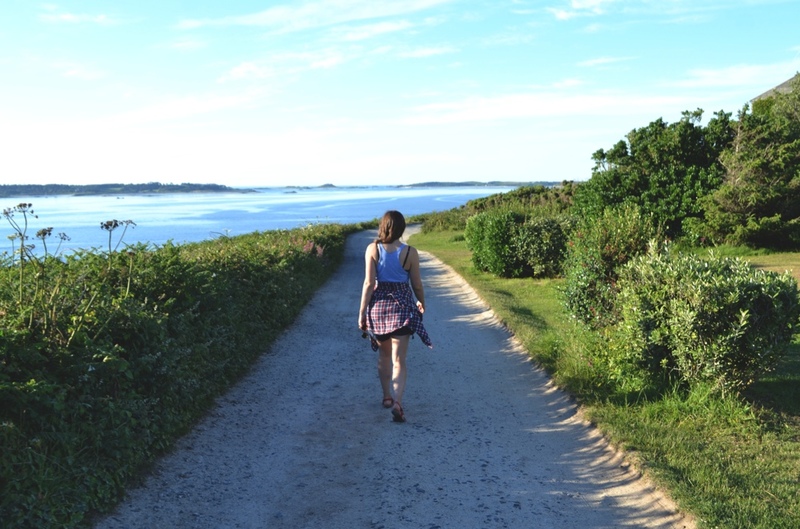 Wow what an inspiring post, I have been thinking about traveling solo for a while now and have my concerns about how I would meet people ect…. This post is amazing and one I will use to keep me motivated and focused…. I did travel to Australia for a year on my own… This was twenty years ago though… Trying to dig deep inside and see if I still have that courage to do it again. The thought of having a solo outing is still quite daunting for me. I’ve always had my brother and a couple of close friends to share the joy with. Of course, there were times they were busy with works and couldn’t join. When this happens, I always head to some outdoor forums, seeing if anyone around my area likes to hop in. You’re a brave girl for going solo a lot. That’s something, you know. Really great article with lots on info! I personally have been taking solo trips (mostly wilderness hiking) and I must say it’s all just a matter of attitude. Sure preparation and risk management are important but mostly it’s all in our heads. Awesome post. I’m in love with the pictures.